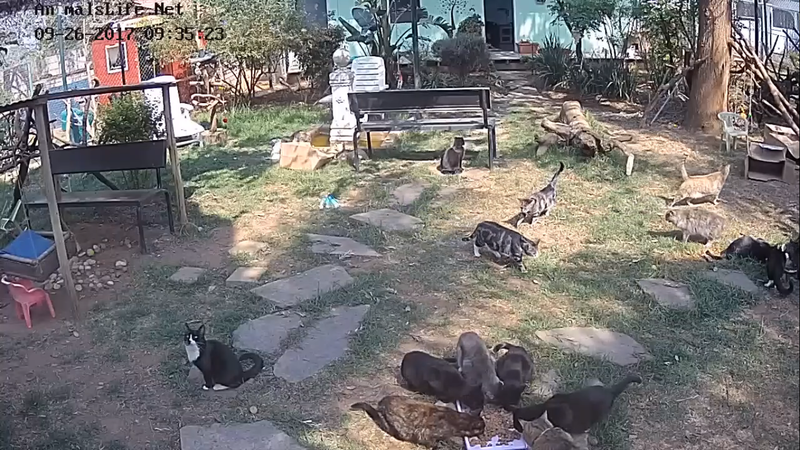 Kitty and Puppy Haven is an animal shelter in Midrand, South Africa that has been opened since 2000 with aim of rescuing abused and abandoned animals. Its primary objective is to save and find a new home for as many pets as possible, however, educating people and taking preventive measures against animal cruelty and neglect in the future is also crucially important. This is a no-kill shelter, as the workers believe that any pet can be healed and have a healthy, happy life. This belief only underlines the bravery and loving attitudes towards animals, as most of the animals come from very poor and dangerous backgrounds and are in dire need of aid. The usual treatment of animals consists of vaccinations, anti-parasite treatment, sterilization and flea control. The shelter strives to ensure that more animals are sterilized and that more people are knowledgeable about the situation with homeless pets. In June 2010, the shelter has started the “Alex Project” – a program that started out in the Alexandra Township (hence, the name), which has now spread to many other areas of the Gauteng region, South Africa. The program is aimed at offering free pet food for those who can’t afford it, give advice to animal owners, sterilize and vaccinate animals if necessary and, most importantly, rescue injured, abandoned or neglected animals. Kitty and Puppy Haven is a clear sign that animal welfare can spread throughout many world regions. Let’s not leave the brave and dedicated animal helpers alone, please help them as much as possible! Check what products the shelter might need for their everyday work and buy them online! Only joint efforts can make this world a better place.